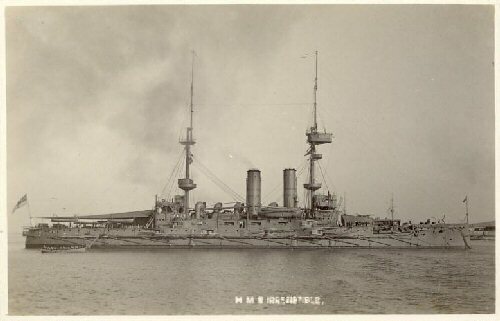 HMS Irresistible was a formidable class, one model new warship of the Majestic class, that had been advanced by the advantages of Canopus class warships (Krupp armour, water boilers). She had been more powered by her 12 inch guns and more weight and her extra thickness gaved her more protection. She has comissioned in the 5th channel fleet. 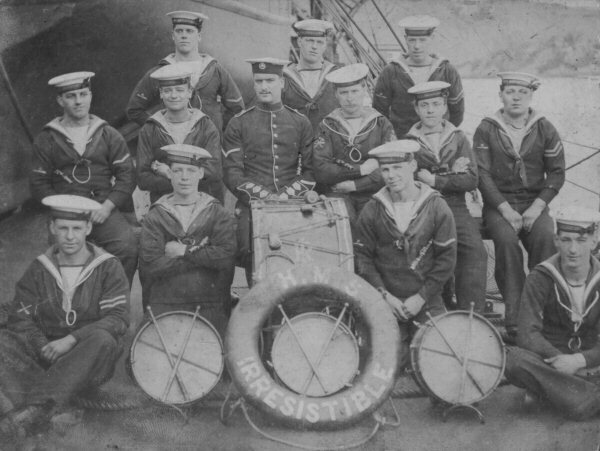 She has taken a role in the transportation of Portsmouth Sea Forces to Ostend in 25th of august 1914. 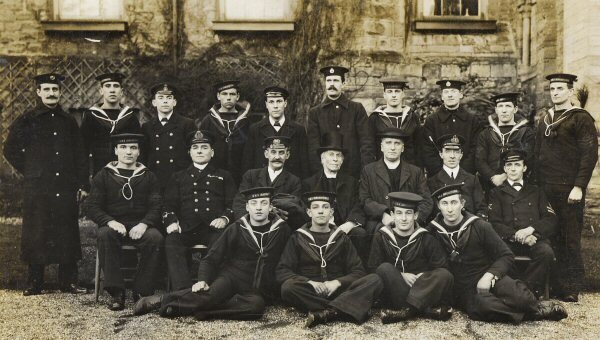 She joined the Dover patrol for the bombardment of the Bulgarian Coasts in October and November 1914. 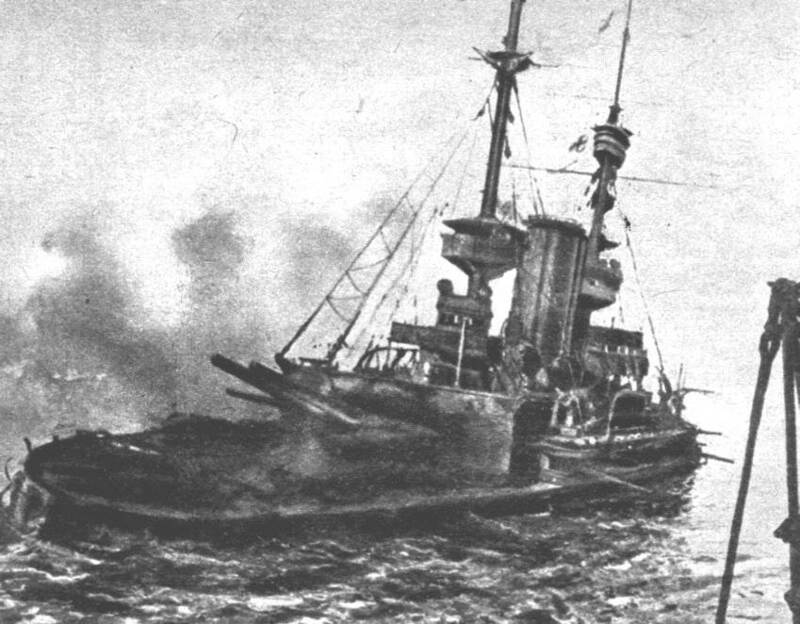 She joinned Dardanelles Campaign in February 1915. In Dardanelles she took roles in the bombardment of the shore guns and in the support of the troop landings. 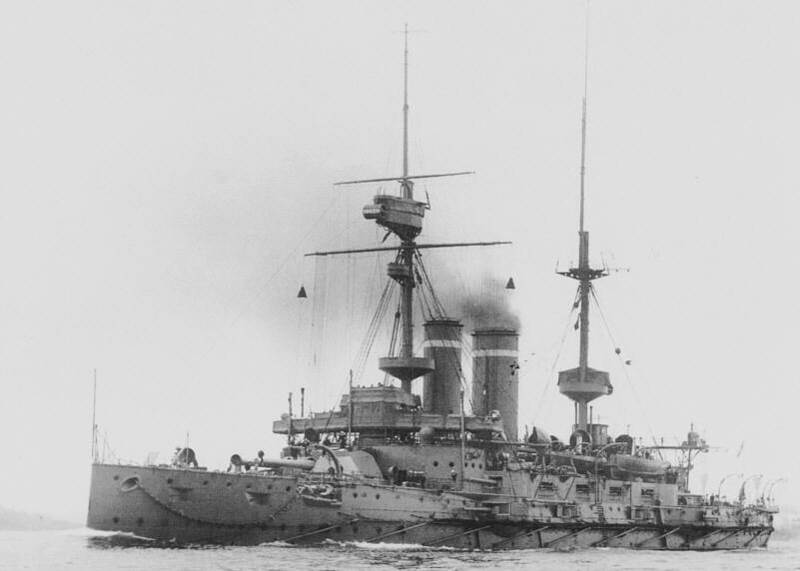 HMS Formidable            17th of November 1898          Sunk by torpedo in 1st of January 1915. 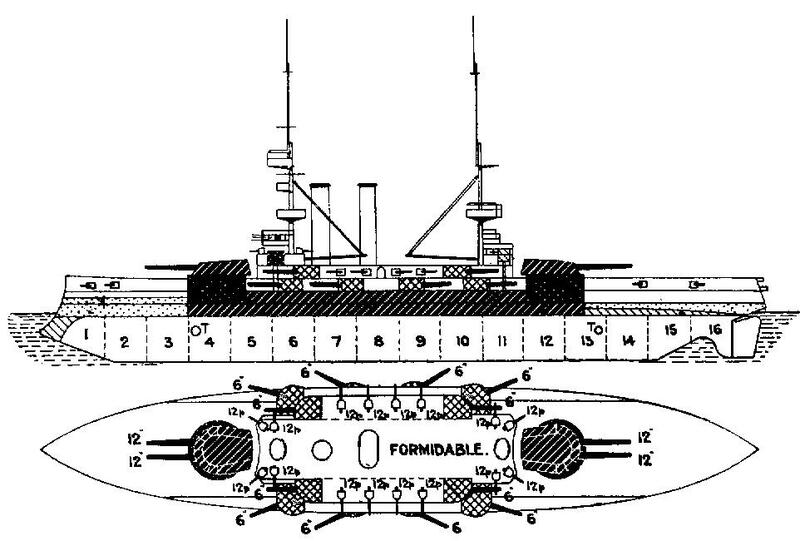 HMS Implacable            3rd of March 1899              Sold in 8th of November 1921. 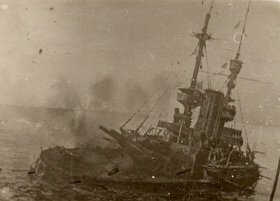 The allied navy, under the command of English and French admirals who were so sure about the victory, started their attack in the 18th of March 1915 at 10:30 am in three different groups.The first bombardment to Turkish Guns started at 11:39 am. The Turkish defences answered the bombardment with less powered guns but with more accuracy. In the memories of the Sea Gunman Major Hasan, he says " We turned our hearts to God, and our guns to the enemy and started bombardment to Irresistible who was 8200 meters away.". The enemy ships continued to bomb the Kumkale and Seddulbahir sides. The guns destroyed by flames, the amunitions started burning. The guns stopped bombing. The flame vomiting guns of the ships, turned both the sea and land of Dardanelles into a burning area. The war that was going on was an unequal fight between the 279 modern guns of the allied ships and guns of our shore defences that only 82 of them that can be used. The allied forces succesfully finished the first part of their plan. At the moment, French and English forces were racing between theirselves about who will enter Istanbul first. Both sides of the Straits were under flames. But in a short time Turkish defenders cleared the sand on them and started firing again. Agamemnon took 12 accurate shots in 25 minutes. After a little past 12 o'clock, De Robeck who was on Queen Elizabeth, ordered the French Admiral Guepratte to attack. Guepratte who was waiting for this moment, ordered his ships to move forward and attack. The four French ships started an attack that felt like hell. After a little time, Gaulois was damaged form her bow under the water. Suffren took 14 accurate shots. Inflexible, Agamemnon, Lord Nelson, Albion and Charlemagne were also damaged. BUt none of them left the war, like they were testing the resistence of the Turkish Defences. Just at moment,the luck turned to the Turks Side. Hakký Bey layed 26 mines form the mine ship Nusret, parallel to the coast line near Erenkoy ,not from shore to shore. In 18th of March 1915, during the big attack, three of the allied ships strucked to these mines that they were not aware of and sunked. Admiral De Robeck ordered the French ship to get away from the road of 6 English ships that were waiting. Everything happened at that moment. Bouvet had shaken with a huge explotion and sunked with her 639 French crew in seconds like a plate sliding in to the water. Seyit Onbasi was trying to lift and put the gun shell that weighs 215 okka by his hands while Admirals were trying to understand what happened to the Bouvet. Which ship was next to take her place down in the straits?. Seyit onbasi hit the Ocean in his third shoot. Ocean lost her control because of rudder damage and she strucked to the mines. Irresistible strucked to a mine and started coming near to the shores. In that moment she was also under heavy bombardment. HMS Ocean tied her up in order to save her but while pulling Irresistible she strucked to a mine also and both of the ships took their eternal places in the straits. Before sinking all of their crew had been rescued from the destroyers around. Irresistible, Ocean and Bouvet are lying in Erenkoy at 60 meters depth without a noice with hundreds of souls. Irresistible is a little open from the shore. Irresistible is lying backwards in the mud with all of her honourable construction.